Stephen Curry became the first NBA player to hit eight three-pointers in three successive games on Wednesday. Golden State Warriors star Curry set the record in a 147-140 victory against the New Orleans Pelicans. Curry - who finished with 41 points and nine threes - knocked down his eighth three-pointer of the game late in the third quarter midweek. 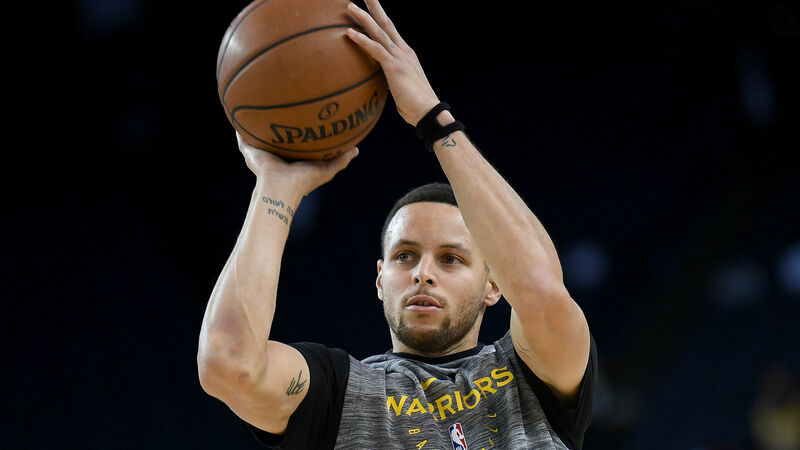 The two-time MVP hit 11 triples in Golden State's win over the Dallas Mavericks on Sunday and followed that up two days later by connecting on eight three-pointers in a victory against the Denver Nuggets. Curry entered the matchup against the Pelicans averaging 29.5 points and 5.5 assists in 34.5 minutes per game. He is shooting 49.1 per cent from the field and 45.6 per cent from three-point range.